Are you ready to start your self-hosted WordPress blog? Choosing the best web host for your site is important as you establish your Internet presence. With so many web hosting companies out there all making the same promises, how do you choose? If you make the wrong decision, you can end up with endless frustration and confusion. Believe me, I’ve been there. After choosing web hosting companies for the wrong reasons, ending up with websites going down, not working right or slower than a snail, I want to help you avoid these problems. I have 5 tips for what to look for when choosing the best webhosting. We all have our unique needs when it comes to starting a new blog. For example if you plan to have a WordPress blog, you’ll want a host like SiteGround that offers one-click install. If you were starting a website without a blog, you might go for a web host that includes a site builder like GreenGeeks. Since each web host has different options and plans, be sure to know what you need before you start researching. Do you want to create a WordPress site or do you prefer a site builder to create a website? These are very different needs. I do recommend creating a self-hosted WordPress site. Do you need more than one website? If you are just starting out, I recommend that you start with one and master it before adding others. However many web hosting providers like SiteGround allow you to have multiple sites on your account with certain plans. You’ll have to look at the individual plans and choose accordingly. How much money do you want to spend? Most web hosting companies require an annual payment upfront. They do break it down by month. It comes out to much less when you purchase a year in advance. Do you need SSL? Many hosting companies offer it for free but be sure to read about what type of SSL certificate they offer. Do you need an email account with your same domain name? Most hosts offer this. 2 – What type of Upgrade Options are Available? You may start out with a basic plan but what about 6 months or a year from now? Let’s assume your blog is wildly successful and you need to upgrade. Does the web host offer other plans that you can EASILY upgrade to? Notice I said EASILY. Choose a host that will do that upgrade for you. For example, I started with SiteGround’s StartUp plan to test it out. I loved it so I then upgraded to a more robust plan. SiteGround moved everything for me at no extra charge. Within about 2 hours, my site was moved and up and running on a more powerful web hosting server with better features. Always explore your options with web hosting plans and the service that goes along with it (or not.) You don’t want a host that lets you upgrade but won’t provide the moving service for you. 3 – Is the Webhost Fast and Reliable? I can’t tell you how much frustration I’ve had with web hosts in the past. From super slow WordPress sites to a lot of downtime, it’s not worth the headache. 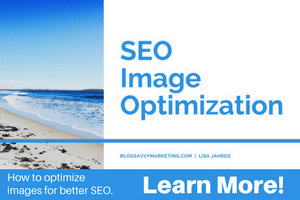 If you are dependent on your site to make money, having downtime can really hurt you. Also, a couple of my sites were so slow I couldn’t even stand to look at them. Imagine how my readers were feeling? Who wants to stay on a super slow website? Nobody I know. Sometimes, there is no amount of WordPress plugins that will help with speed. It comes down to the web hosting provider. I have to say, that SiteGround has been amazing as you can see in this speed test. My previous speed was over 7 seconds! Oh my! Google recommends staying under 3 seconds as it’s a search engine ranking factor. There you go. SiteGround also wins for uptime and reliability. Be sure to look at those factors. If a webhost is bragging about their speed, just find website that host with them and do a speed test. The worst thing ever is having a webhost with terrible customer support. I was with a web hosting company that was awful and I am not even going to name them. My sites were all down and I could not easily get them on the phone or chat. After I did, it took forever for them to even understand what I am talking about. That was like a 2-day episode where I lost revenue due to my sites being down. Great customer support is crucial when choosing a hosting provider. Make sure that they are available 24/7 and will actually help you whether it’s through email, phone or chat. I’ve had the most amazing best experiences with SiteGround customer support. Whether they were moving my sites or upgrading for me, their communication was off the charts! OK, none of us know all this stuff, right? That’s why we need tutorials that are well-explained. Having great information to explain things is crucial especially when you feel stuck. You are working hard to create an online business with your WordPress blog. You should carefully choose the right company to host your site. Understand your needs and then take into consideration the aforementioned items and do your research. 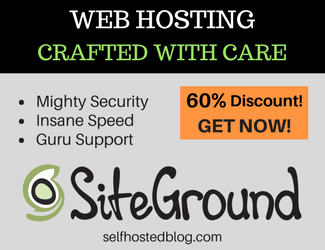 After being with many different hosts over the years, I can confidently recommend SiteGround to you!